Although most people think that hair loss occurs mainly in men, just under half of hair loss sufferers in the United States are women. While male hair loss is generally accepted by society as a normal part of aging, women with sparse hair may feel outcast or isolated with their condition. 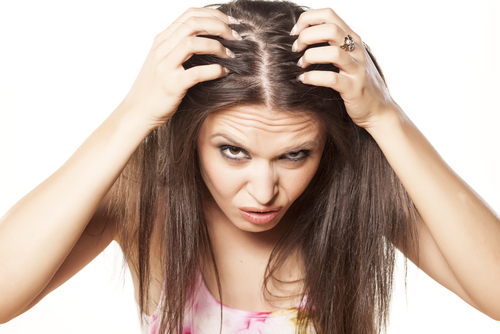 Hair loss in women can lead to embarrassment, lack of self-confidence, and psychological damage, which can negatively affect their health. For those who are dealing with the problem of hair loss, Dr. Wise can help get to the root of the problem and restore thick, full hair to thinning areas. Enjoy your own natural, beautiful hair – no more wearing wigs, covering your head, or drawing on your eyebrows. The NeoGraft© Automated FUE (Follicular Unit Extraction) and Transplant System is a procedure that removes individual hair follicles from one part of the scalp and transplants them to another area. Donor hair is generally taken from the back of the scalp, and it can be transplanted to cover large or small areas of the head. This non-surgical treatment can also be performed for eyebrow enhancement to rejuvenate the appearance of patients with inadequate eyebrow hair. Since individual hair follicles are transplanted, no incisions are necessary, which means no scarring will result. Patients experience little to no discomfort, enjoy a faster recovery with minimal activity restrictions, and may return to work within a few days. The NeoGraft© procedure provides higher patient safety with improved results compared to other hair restoration treatments. This medical-grade system offers the same powerful treatment for hair loss found in clinics, but patients can use the LaserCap® in the comfort of their own home. The LaserCap® treats hair loss in the scalp as the patient wears it every other day for 30 minutes. Improvement in hair quality is generally seen within the first weeks of treatment. Shedding is often reduced within 3 to 6 months, and new hair usually grows within 6 months to a year of use. If you are one of the millions of Americans suffering from hair loss, the restoration process can begin with a simple consultation. Dr. Jeffrey B. Wise is one of the few physicians in the northeast United States to offer NeoGraft© treatment, and he is a double board-certified facial plastic surgeon and head and neck surgeon with the skill and experience necessary to create natural-looking results. To learn more about these hair restoration treatments, please call Dr. Wise’s New Jersey practice at 973-658-4019 or fill out our online contact form today to schedule your complimentary consultation.